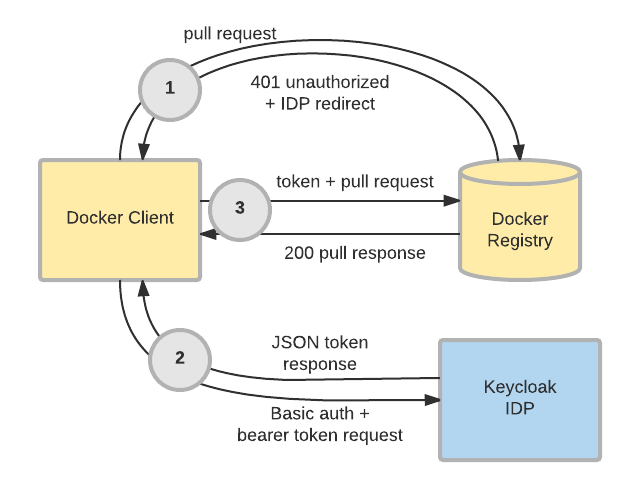 This article will walk through how to set up a local Keycloak IDP and Docker registry to demonstrate the Docker authentication capability. Note that the configuration used in this tutorial is for demonstration purposes only, and should never be run in a production environment. Also, be advised that Docker authentication remains a community-supported feature. It is not covered by a support subscription. Once the container boots up, open your web browser and head to the Keycloak admin console. For the sake of this demonstration, we’re going to use the master realm. However, in most real-world use cases, Docker registries will be configured against the primary realm or realms. Create a client for a Docker registry with the following steps. Don’t worry about having a registry container or server handy yet; we’ll get to that part in a bit. Browse to the admin console at http://localhost:8080/auth/admin/master/console/and login with the credentials specified in the above command. Choose Clients from the menu on the left side, and click the Create button. Enter a meaningful name for ClientID, choose docker-v2 as the Client Protocol, and click Save. A message will pop up indicating that the client was successfully created. At this point, the IDP is ready to interact with a Docker registry, so let’s spin one up. Thankfully, Docker Compose can automate the process of creating and configuring a Docker registry to interact with our IDP. Error response from daemon: Get https://localhost:5000/v2/busybox/manifests/latest: unauthorized: Invalid username or password. The docker client can now perform operations against the registry, as it has authenticated against the Keycloak IDP Server. 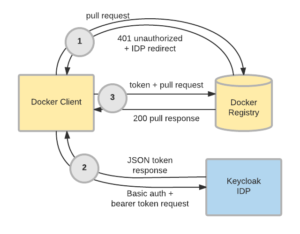 For more information on how to use Keycloak with Docker, see the relevant sections in the server administration guide and the securing applications guide.